Many aircraft accident investigations entail the need to collect in-flight test data. Actual in-flight test data can provide insight, validation, and offer explanations to circumstances that may have taken place on the accident flight. DVI Aviation’s Flight Test Experts and Data Acquisition Experts have the expertise and experience to design and install customized measurement and sensor equipment on-board an aircraft. A single engine aircraft recently had repair work performed on its autopilot system, and then subsequently crashed. Aircraft Accident Investigators wanted to determine the amount of force a pilot would have to exert to overcome a runaway trim situation. 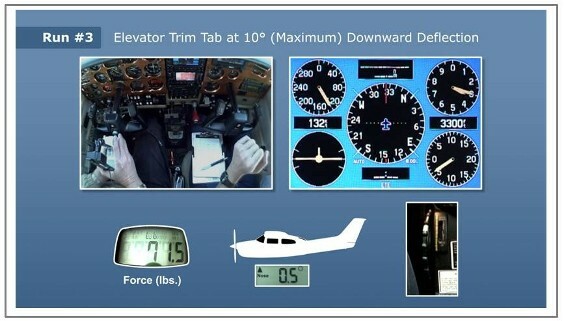 DVI’s Flight Test Experts designed and installed a data acquisition system that recorded and measured stick control force versus trim deflection versus airspeed. The in-flight data was evaluated to determine if a pilot could reasonably maintain control of the aircraft at the various trim positions. DVI’s Flight Test Engineers instrumented a business jet to measure three different temperature parameters of certain avionics as bleed air controls were activated at a multitude of altitudes. DVI’s Test Pilots flew a pre-determined flight profile that departed out of Southern California climbed to 41,000ft and collected data for 3 hours. DVI’s Pilot Expert recreated an accident that took place at night near the mountains. The accident pilot was turning base to final when control of the plane was lost. DVI’s Test Pilots flew the same accident flight path in the day and at night, making direct observations as to how the featureless terrain and mountain ridges can create visual illusions and false horizons. These visual illusions can create spatial disorientation. DVI’s Pilot Expert recreated an accident that took place at night. The accident aircraft struck an obstruction on takeoff, and attempted the impossible turn. DVI’s Pilot Experts measured the normal takeoff distance, the accident flight’s takeoff distance, and evaluated the available runway left to make an emergency landing. DVI’s Pilot Experts recreated an accident that took place during VFR conditions. The accident aircraft did not follow a standard VFR traffic pattern. DVI's Pilot Experts flew the accident flight path and compared the the fligth path to the normal VFR traffic pattern. DVI’s Pilot Expert recreated an accident flight that involved a partial power go-around. The accident aircraft did not have enough power to clear the power lines. DVI’s Pilot Expert measured the climb rate of an exemplar aircraft that was configured (flaps and gear) the same as the accident aircraft, and only using a partial power setting. DVI's Pilot Expert measured the controllability of a small engine business jet during an engine failure on takeoff. DVI’s Pilot Experts often use full motion “Level D” simulators to recreate accident scenarios. Flight simulators can be used to recreate very specific circumstances that would otherwise not be reproducible in flight. DVI’s Pilot Experts recreated an accident flight involving an agricultural aircraft. The accident aircraft took off with the flaps incorrectly reconfigured. DVI's Pilot Expert measured takeoff distance at varying aircraft weights, flap, and power settings. DVI’s Pilot Expert recreated an accident flight involving a Technologically Advanced Aircraft (TAA). Our Pilot Expert test flew an exemplar aircraft to measure and observe how the autopilot, trim, and yaw damper change throughout various regimes of flight. DVI’s Aircraft Accident Investigators found the elevator trim jackscrew is a fully deflected position in the aircraft wreckage. DVI’s Pilot Experts flew an exemplar aircraft on varying approach to landing configurations, and measured the elevator trim positions.